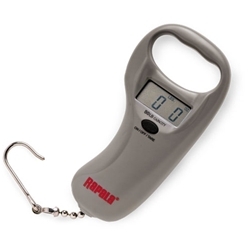 The Rapala Sportsman's Digital Scale is compact and extremely accurate! This 50lb Digital Scale offers high-end features at a value price. Measure in both pounds and kilograms with Tare Weight and its durable construction, Rapala has nailed it with this Digital Scale.